Whether you need 6kg trays or 10 tonnes of fresh blueberries we will be pleased to discuss your needs. 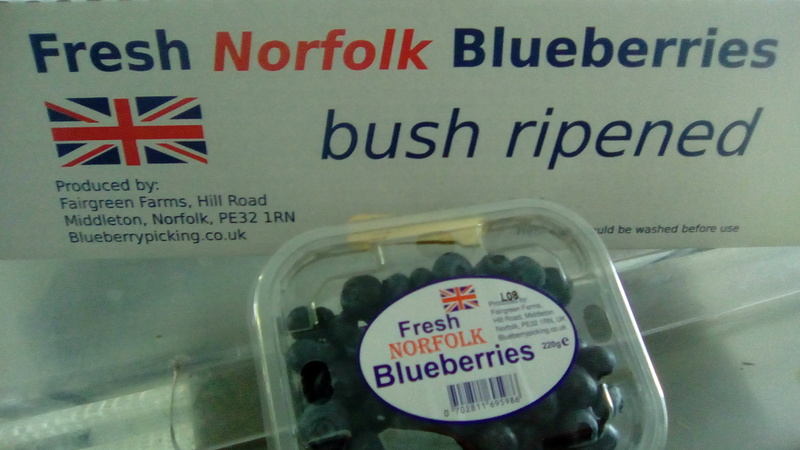 Now is a good time to get in touch, All our blueberries are Crop Assured, grown in Norfolk to comply with NSF fresh produce standards. If you have specific packaging requirements do let us know, Whether you want your own label or a different punnet size. (x6 or x12) 440g white plastic open punnets. If you have your own reusable crates it could save on packing. We use our own transport for local deliveries and a distribution network for sending pallets of blueberries throughout the UK. Customers can also collect from the farm. Jam or wine producers and pie makers can afford to use Norfolk blueberries in their products.